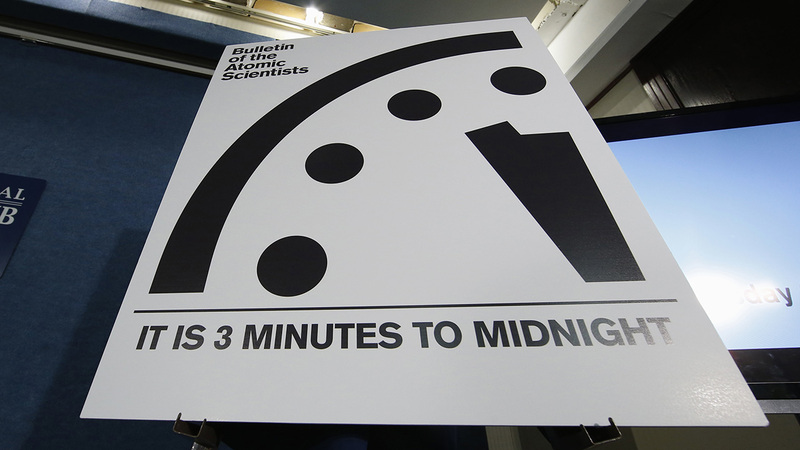 CHICAGO (WLS) -- Scientists will meet Tuesday to decide if a new time will be set on the Doomsday Clock. Right now, the symbolic clock is set at three minutes to midnight. It reflects how close the world is to catastrophe. Several members of the Science and Security Board of the Bulletin of the Atomic Scientists, which sets the time, have concerns about President-elect Donald Trump's comments that he'll end the Iran nuclear deal. The board, which created the clock in 1947, is based at the University of Chicago.